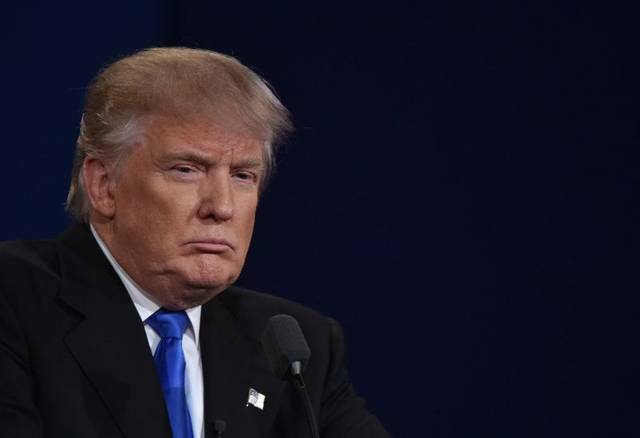 Mubasher: US President Donald Trump on Wednesday urged the Organization of Petroleum Exporting Countries (OPEC) and its allies not to withhold oil production next year. 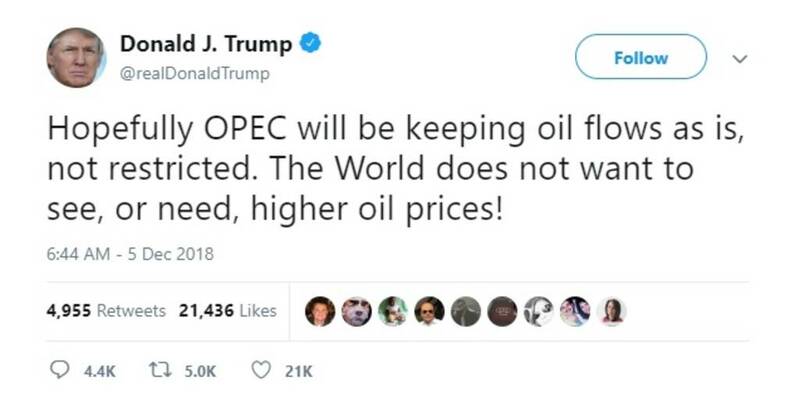 “Hopefully OPEC will be keeping oil flows as is, not restricted,” President Trump said via Twitter, ahead of the producer group’s meeting on Thursday to discuss potential supply curbs. The World does not want to see, or need, higher oil prices,” Trump added. The producer group and its allies continued to discuss the amount of potential oil cuts, but the majority of producers made clear their agreement on the necessity of reducing crude output. The US administration sought to maintain crude production to avert a rally in prices as it tightens sanctions against oil-rich Iran. President Trump lashed out repeatedly at OPEC, accusing the group of driving oil prices higher, while demanding it to ramp up its oil production. By 3:39 pm GMT, US Nymex crude futures climbed 1.07% to $53.82 per barrel (pb), while global benchmark Brent futures rose 0.95% to $62.67 pb.